The zoo says a variety of activities will celebrate Fiona’s latest milestone. The hippo was born Jan. 24, 2017, at a dangerously low 29 pounds (13 kilograms). 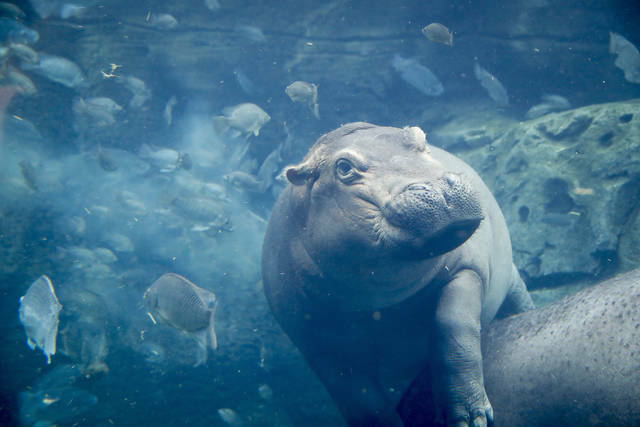 Round-the-clock critical care and outside help including from the Smithsonian National Zoo and the Cincinnati Children’s hospital enabled Fiona to not only survive, but to thrive as a social media sensation. The zoo last month reported she had reached 1,000 pounds (454 kilograms). COLUMBUS, Ohio (AP) — For members of Ohio’s large new first family, the stole worn by Father Tom Hagan throughout Republican Gov. Mike DeWine’s inaugural weekend was a way to involve their beloved late daughter in the celebration. Disclosure statement: JohnEric Smith has received research funding from multiple sports nutrition companies. He is a member of Dymatize Nutrition’s Advisory Board. And does magnesium play a role in vitamin D status? It looks like it, according to this study: https://medicalxpress.com/news/2018-12-magnesium-optimizes-vitamin-d-status.html? Jill Ebstein is the editor of the “At My Pace” series of books and the founder of Sized Right Marketing, a Newton, Massachusetts, consulting firm. She wrote this for InsideSources.com.